GERMAN NAVAL YARDS Kiel is an ideal partner when it comes to design and construction of large, complex naval vessels such as OPVs, corvettes and frigates: the shipyard combines the traditional strength of the long lasting naval tradition completed with the competences of the entire shipyard alliance. 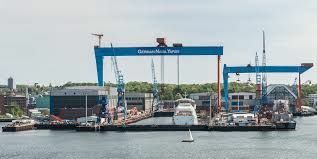 Apart of using an area of 250.000 m², GERMAN NAVAL YARDS Kiel boasts of the largest dry dock in the Baltic Sea region (426 meters in length) as well as an extraordinarily capable crane with a lifting weight of up to 900 tons. In addition to design and build of naval vessels the group GERMAN NAVAL YARDS offers special tailor-made options for complex maintenance, refit and repair projects both in Germany and around the world. 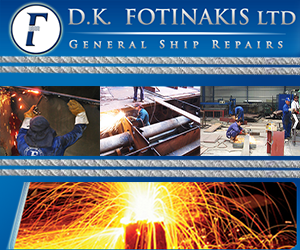 GERMAN NAVAL YARDS Holdings is a one hundred percent subsidiary of the PRIVINVEST group, being part of its European shipyards alliance. The group includes the French naval shipyard Constructions Méchaniques de Normandie (CMN) and Isherwoods from United Kingdom - provider of integrated logistics support and maintenance management systems. 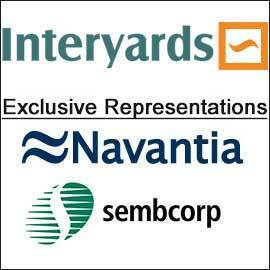 The expertise of these subsidiaries ideally complement GERMAN NAVAL YARDS Kiel.